These are 10 walking routes of varying lengths which completely blind-sided us and delighted with a deliciously satisfying twist in the tail. All the walking we experienced in Chile came with a sense of being on an adventure trek rather than simply following a walking route. The trail to the Ventisquero Colgante in Quelat was no exception. The Indiana Jones vibe was aided and assisted by a start which involved crossing a long, wobbly, wooden bridge. From there we ascended though a tropical forest serenaded by exotic birdsong and teased by the sound of rushing water, unseen until we emerged at a clearing over a lake above which a glacial dam filled the gap between to peaks whilst elegant waterfalls cascaded in thin misty fingers from mountaintop to the lake below. Spain’s highest mountain, Mount Teide, is hardly a hidden surprise, especially to anyone exploring the northern side of Tenerife where the volcano dominates the skyline. 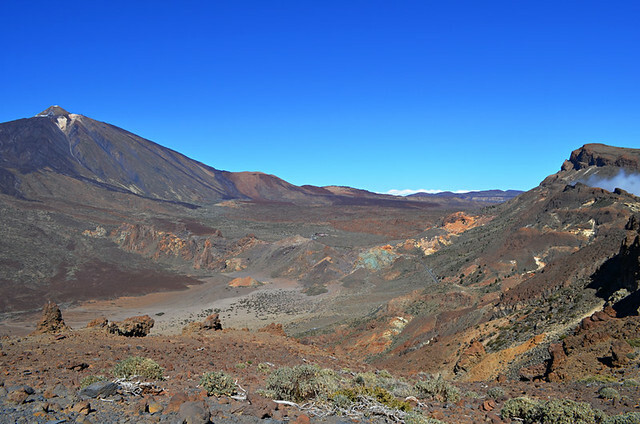 From southern parts, the mountain’s bulk is mainly obscured and there’s one route from Vilaflor where you can’t see it at all until you emerge on the rim of the crater surrounding the southern side of Teide National Park. You are literally a couple of steps from a serious drop before the expanse of twisted volcanic plains with their mountain centrepiece explode into existence before your very eyes. Some routes are challenging with dramatic climaxes, others are relatively easy and culminate with something which is an exquisite treat for the eyes. The short route from Calvi to Notre-Dame de la Serra above the Corsican town is one such route. 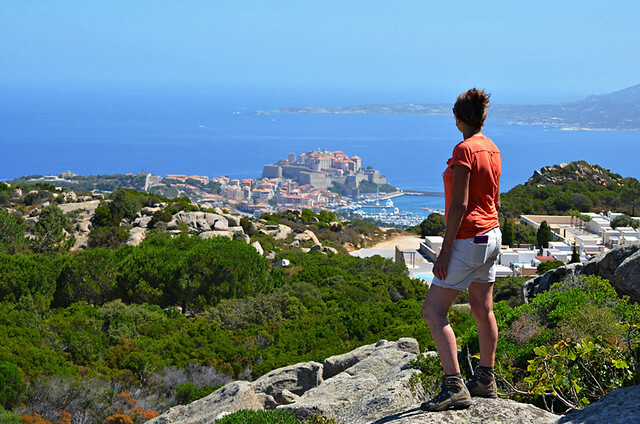 As you’re walking away from the coast, you don’t get the full impact of just how good the views over northern Corsica and the sparkling Mediterranean are until you reach the old church. 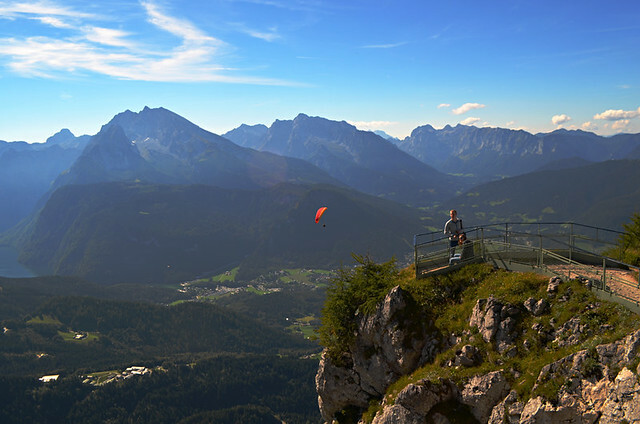 It is possible to walk all the way to Hitler’s 50th birthday present, the Kehlsteinhaus, or Eagle’s Nest. We did a sort of halfway house – walking from our apartment near Lake Königssee to the Dokumentation Centre on Salzbergstrasse where we caught a bus to transport us up to a point directly below the Kehlsteinhaus. From there we caught a golden lift through the centre of the rock to emerge on high at the eagle’s lair. 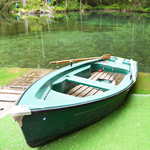 Stepping from a dim elevator into bright daylight and a lofty position high above the neat meadows, lakes and other mountains which seem like hills by comparison is a dizzying experience. The route to the Mirador de la Peña from a nearby village crosses a relatively flat agricultural plateau. 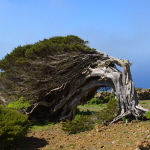 It’s a deceptive approach which lulls you into a false sense of walking through a lovely but undramatic El Hierro landscape. 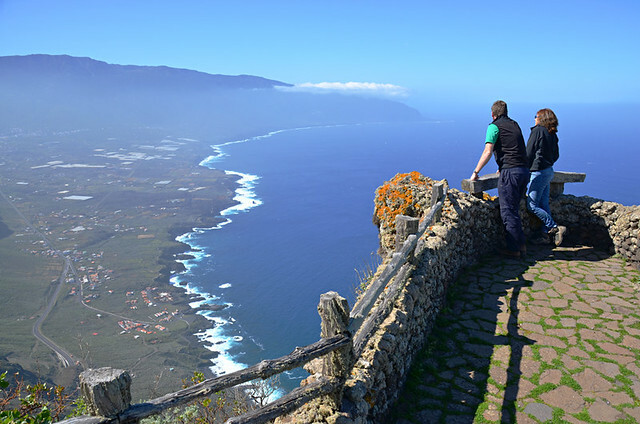 Then the world simply falls away as you arrive at the Mirador, falling away in sheer cliff, vertigo-inducing fashion; the agricultural countryside replaced by the glorious El Golfo valley which looks as though it’s been shovelled out of the earth by a green-fingered giant. 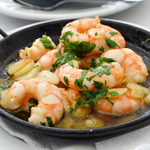 There’s a César Manrique designed restaurant at the Mirador de la Peña, ideal for lunching with luscious views. Unfortunately for us, or fortunately depending on personal views, our route continued onwards and upwards to even higher clifftop viewpoints. Not all walking routes have to be through virgin countryside. A cobbled path links an absolute jewel of an Italian lakeside town, Orta San Giulio, with Sacro Monte de Orta, a UNESCO World Heritage Site consisting of chapels and religious buildings which date back to the 16th century. I have to admit to paying little attention to the religious attractions on the sacred mountain. 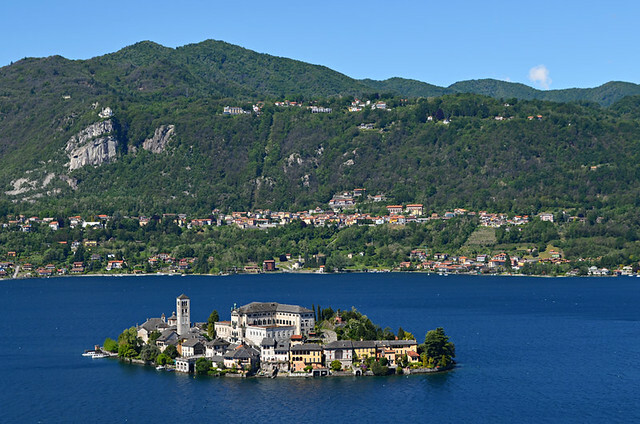 Instead, the object of my worship was the view over Lake Orta and the stunning tiny island of Isola San Giulio. 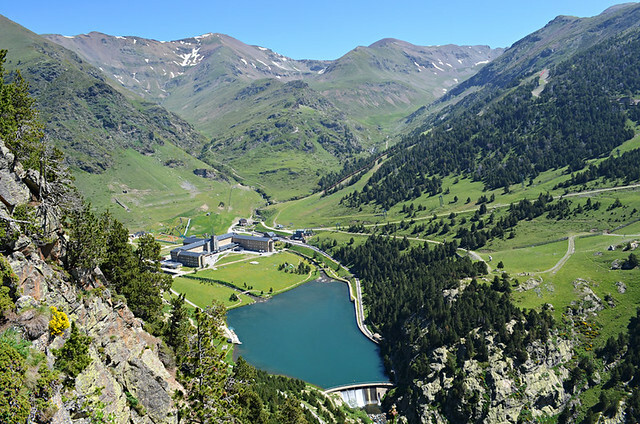 Completely surrounded by craggy peaks and reached either on foot or by rack railway, Vall de Nuria is a verdant Shangri-la of a place in the Spanish Pyrenees and a magnet for families and outdoor enthusiasts. There’s a spider’s web of walking routes around Vall de Nuria, one of which climbs above the valley to a rickety wooden viewpoint which juts out to an extent you feel as though you’re suspended high above the valley. It’s intoxicating but not a spot for anyone with even the slightest hint of vertigo. Starting a walk in the basin of a volcanic crater which had been transformed into rich farmlands was unusual in itself. But when we climbed to the rim of the crater we were blown away by views of Santo Antao’s Paul Valley looking like a lost world way, way below. 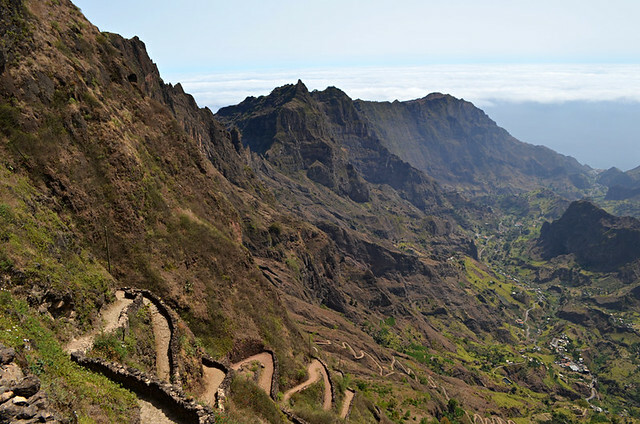 Apart from being breathtakingly beautiful, the crater ridge represented a symbolic shift in our journey across three Cape Verde islands, the arid terrain of Sal and Sao Vicente being swapped for the Paul Valley’s green ravines, smoky grog stills, sugar cane fields and banana plantations. 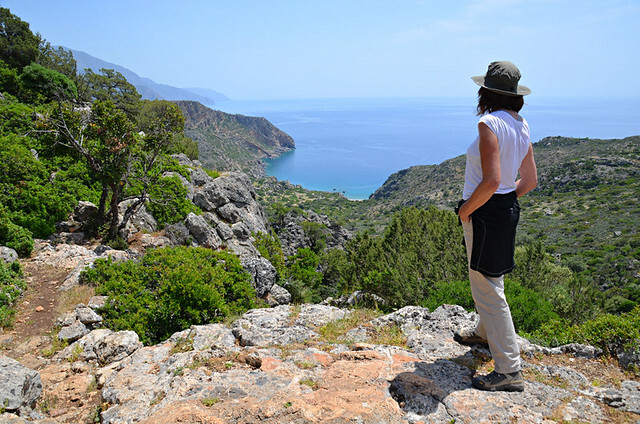 Some walking routes in north west Crete make you sweat for the rewards, literally as the sun is fierce and shade a rarity. But it’s worth getting all hot and steamy to walk paths above iridescent seas and hidden coves. One route outside of Sougia climbed from the coast to a ridge above an enclosed valley, only accessible by foot or from the sea. 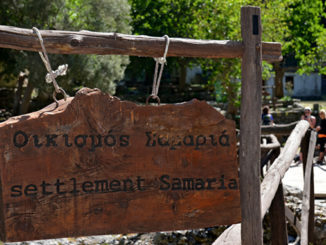 Nestling in the valley floor was the remains of the ancient city of Lissos. Staring down at the old ruins dotted around the beautiful valley floor made us feel as though we were in touching distance of the past. It had that wonderful element of being adventurers who’d discovered a lost city, albeit one which everyone and his dog knows about. 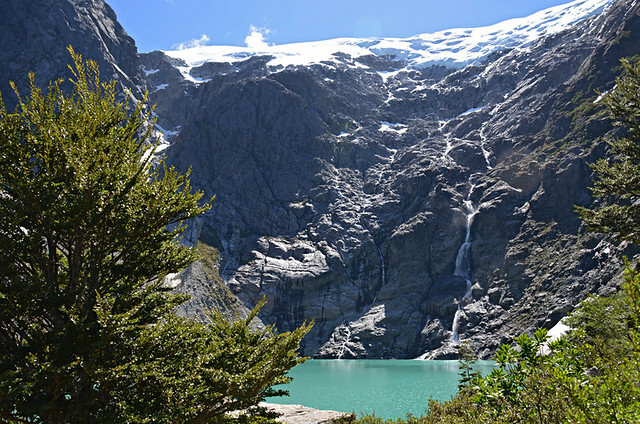 The Bosque Encantadero in Quelat, Chile, sits proudly at the top of my favourite walks with a thrilling climax list because a) it is a route with an Aladdin’s cave of sparkly ingredients and b) it has a double twist in the tail. First your breath is whipped away as you emerge from the forest into a high valley flanked by steep mountains. 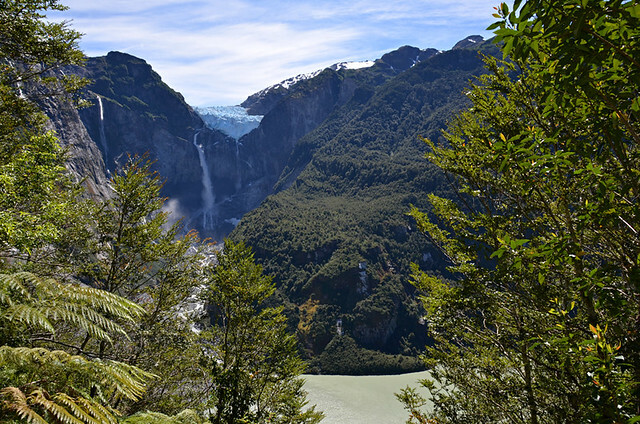 On one side a waterfall flows down the sheer rockface, on another sits a glistening blue white glacier. Venturing deeper into the valley for a better view of the glacier and you emerge over a hill to stand on the edge of a glacial lake whose colour doesn’t seem of this world. Magical indeed.